Do you want to experience life on a professional eventing yard? 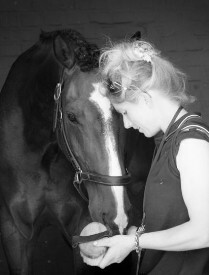 There are opportunities to live and work with Harry, his horses and his team. Experience the attention to detail that separates Harry's yard from many others and learn from one of the best riders and grooms in the country. Receive regular tuition from Harry and travel to events with him and his horses benefitting from Harry's wealth of knowledge. Please include your telephone number and cv in your email. We look forward to hearing from you!